Instagram is best known for the engagement it provides! Did you know that Instagram has 700 million monthly active users? Boasting more than 400 million daily active users and high engagement rates, Instagram is one of the most popular social media platforms in the world. In order to cash in on this high engagement and massive user base, businesses needs to track their progress on Instagram. That is where Instagram Analysis comes into play. You can improve your Instagram marketing strategy by getting useful insights from Instagram analytics. Additionally, you can easily know more about your audience, which will help you target them more effectively in the future. You can use free Instagram Analytics tools or upgrade to more premium ones for this purpose. To help businesses select the right Instagram analytics tools for their business, here are seven Instagram analytics tools that every business must use. If you are looking for an easy to use Instagram analytics tool,which is aesthetically pleasing as well, then Union Metrics fits the bill perfectly. It is available in both free and paid versions, so you can easily choose one according to your needs. The advantage with union metrics is that it shows you everything from followers to following, to number of posts, hashtags, interactions, top posts and followers at a glance. This will save a lot of time otherwise spent on tracking Instagram. Did you know that Instagram also has a native analytics tool known as Instagram Insight? Its major drawback is that you will have to turn your Facebook profile into a Business profile to use this tool. Thankfully, the process is quite simple and comprises of four simple steps. With Instagram Insights, you can get access to data, such as engagements, impressions, and reach, and easily track Instagram viewers,number of posts and Instagram stories that they have shared with others. If you have invested in Instagram paid ads, you can easily track how your ads are performing with the help of this tool as well. Social media managers and SEO experts who want a customizable dashboard will surely love social bakers, as it provides them with all the control they need over their analytics. You can easily monitor your content performance, keep an eye on competitors and their strategies, and analyze your Instagram ad performance right from the dashboard. What makes this tool stand out are its predictive intelligence features,which can help social media marketers share the right content at the right time with the right target audience. It even tells you when you should share your post on Instagram to get the maximum engagement from your Instagram followers. In short, it optimizes your Instagram posts for higher engagement, and the results speak volumes about the effectiveness of this tool. For those who want a radical analytics solution for Instagram that provides them with the ability to dig deeper into the data and find actionable insights, Owlmetric is an ideal choice. Whether you want to track follower engagement, follower growth or hashtag activity, Owlmetrics has you covered. Do you want to see what your competitors are doing? You can even do that with this tool and easily select the best time to post on Instagram. Increasing engagement and growing your followers will not be a difficult task with Owlmetrics at your disposal. Calling itself, “Your marketing sidekick”, Crowdfire is an app that promises to make social media marketing and management a breeze by cutting down the time you spend on social media. 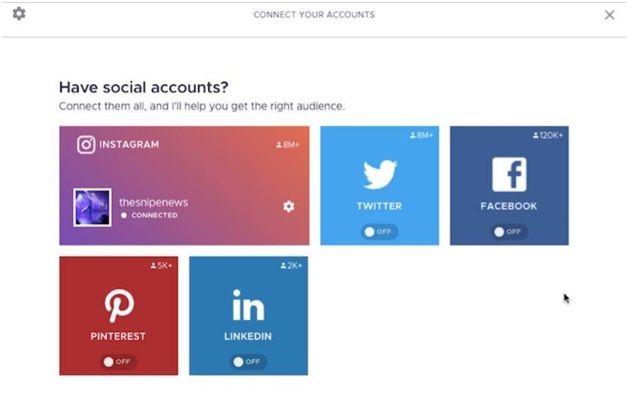 It conducts an in-depth analysis of your social media accounts and tells you what kind of content you need to share to get the best results. Although the focus of this tool is not on analytics, it packs a simple and easy to use interface combined with useful features for social media managers. Take the hassle out of social media marketing and analytics with Crowdfire. Spying on your competitors is the key to staying one-step ahead of the race. Gone are the days when it was considered unethical. Today, every business is redressing the moral high ground. Iconsquare helps you keep a close eye on your competitor’s activities on Instagram. Apart from that, Iconsquare has some very useful features up its sleeve. Users can easily see Instagram engagement and community statistics. Moreover, it makes it easy for businesses to find the right influencers in thier niche. Iconsquare can also come in handy when analyzing hashtag data and gives you useful insights, which can be leveraged to make your content go viral on Instagram. Do you want to grow your Instagram followers fast? Do you prefer a data driven approach and strategy to achieve this goal? If the answer to both these questions is yes, then Keyhole should be on top of your Instagram analytics tools list. Confused about which type of content will resonate with your Instagram audience? Do not worry, because this tool will provide you with insights and also determine the best times to post on Instagram. Comparing competitor’s performance is a breeze as well, thanks to its visualization, which makes it easy for you to interpret the data. Selecting the right tools for analyzing Instagram data can unearth some hidden insights that can help you improve and optimize your Instagram marketing efforts. Choose any one or use a combination of the aforementioned tools to keep an eye on every minute detail on Instagram. 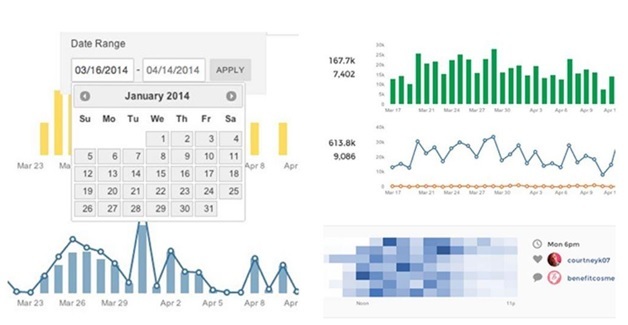 Which Instagram analytics tools do you use to track your progress? Let us know in the comments section below.